Holy Crap. This is just about the coolest thing I've ever seen. I think I finally know what I will have tatooed on my back! As most of you know, Kathleen is in India visiting ashrams and meditating like crazy. 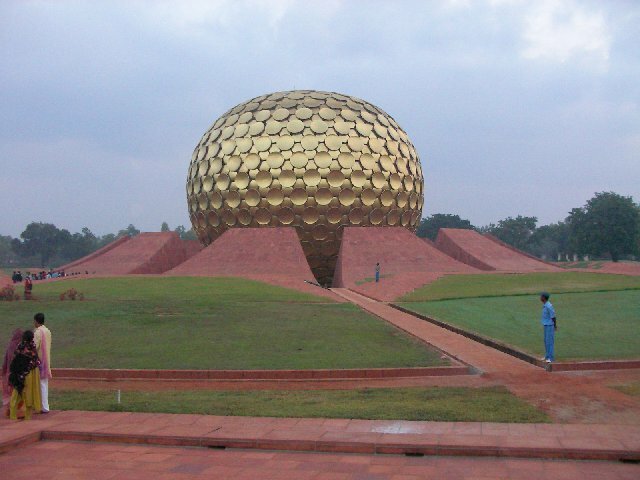 They are in Auroville right now. The big golden ball is the main attraction. 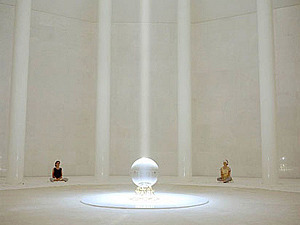 If you are lucky, you can go inside to meditate. There are some pretty cool panoramic views on their website. Nice short video. Thanks to Poppa John for sending.